Looking to usher in a new and promising era in local volleyball, the PVF (Philippine Volleyball Federation) together with the support of PLDT Home Fibr held its final try-outs last September 27 (Saturday), for both the men’s and women’s national teams that will compete in overseas tournaments in 2015, highlighted by the 28th Singapore Southeast Asian (SEA) Games 2015. Featuring the best and brightest in the sport, the hopefuls showcased their skills at the Ninoy Aquino Stadium in their efforts to impress national men’s coach Ojie Mamon and women's team coach Ramil de Jesus, in the last screening before their respective squads are finalized. Among those who strutted their wares were Asian Men’s Club Championship standout Ran Ran Abdilla of Philippine Air Force, National University ace Peter Torres, UST star JP Torres, towering siblings Jaja and Dindin Santiago, ex-La Salle skipper Abby Marano and crowd favorite Alyssa Valdez of UAAP women’s champion Ateneo. The aspirants will be trimmed down and become part of the pool of 18 players in each of the men’s and women’s national teams that will undergo an intensive buildup for next year’s international competitions, according to PVF secretary general Otie Camangian. The final 18 players for the RP Women's Volleyball Team with the other 18 players for the men's squad will be officially named on October 17 (Friday). The selected players will be trained for the upcoming SEA games in June 2015. “Given proper training and support, we believe that our volleyball athletes can compete with the best of the world. PLDT HOME Fibr is happy to reaffirm its support to the PVF as it is the group’s mission to inspire the youth toward sports excellence.” said Gary Dujali, vice president and head of PLDT Home Marketing. PLDT HOME Fibr, Home’s most powerful broadband, supported the country’s hosting of the AVC Men’s Club Championships where the men’s team reached its highest ranking of seventh place as well as the Philippine women’s team that competed in the AVC Women’s Club Championships in Thailand that finishes at 8th place. “We would like to acknowledge the enormous help of PLDT HOME Fibr in the PVF’s aggressive efforts in reviving our volleyball programs and activities, beginning with the successful tryouts for our national teams,” cited PVF President Karl Chan. Aside from Mamon and De Jesus, Chan noted the experienced and professional management team to oversee both national teams: Ed Barroga, national team manager; Evelyn Celis, admin and operations officer; Gretchen Ho, media affairs officer; Michelle Datuin, public affairs officer; Frank Jara and Oliver Mora, staff. Chan said both the PH men’s and women’s squads are being groomed to become medal contenders in the Singapore SEA Games, marking the country’s return to the volleyball tournament since it last competed in the sportsfest a decade ago in the 2005 Philippine Games. 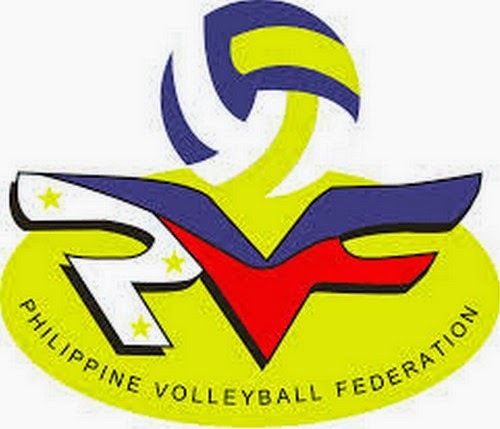 Aside from SEA Games, the PVF is also forming the national women’s side that will vie in the inaugural Asian Under-23 Women’s Volleyball Championships to be hosted by the PVF in May next year. “We are blessed with several young players who are eligible to play in this tournament, which will also serve as the national women’s squad tune up for the SEA Games,” Chan said.